Hey nerds, have you always dreamed of stepping aboard the bridge of a Starfleet cruiser, but don’t want to shell out for a VR headset to play Star Trek: Bridge Crew? Well, you’re in luck, as Ubisoft has released a new patch which removes the game’s VR requirements. Now everybody can blast a few Klingons with friends! You can check out a dev diary dedicated to the VR-scrapping patch, below. “More players can now live out their Star Trek fantasies as they take command of the USS Aegis and USS Enterprise NCC-1701 using a mouse and keyboard, or a controller. Players can join matches with both VR and non-VR players seamlessly across all platforms. Star Trek: Bridge Crew isn’t abandoning VR by any means – in fact, the non-VR patch also adds support for Microsoft mixed-reality headsets. Regardless of how you may choose to play, Bridge crew lets everybody join games together. 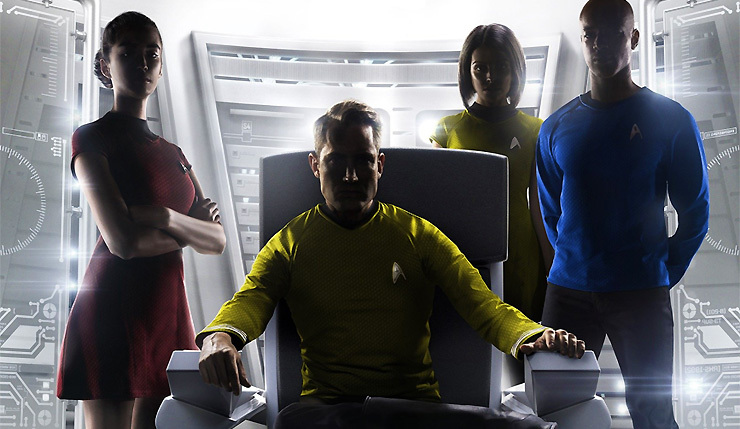 Star Trek: Bridge Crew is available on PC and PS4.